Leaving me here on my own, It's a cruel, cruel summer, Now you're gone." Ironically, the summer of 2014 really seemed to be a cruel summer. While fun summer activities continued as planned, the news around the world, as well as locally, may have led many of us to exclaim as Bananarama did three decades prior, "What did they say? Things I can't understand." Now that the summer has come to a close and the kids are back to school, we can only hope that the news improves. What follows is an article I wrote for the Detroit Jewish News in which I took a look at how our Facebook News Feed affects us emotionally. My prayer is that all of our News Feeds stay positive for the remainder of the year. Thanks for reading! Let’s be honest here. You spend a lot of time scrolling through your Facebook News Feed. Whether you’re on a desktop computer, your iPad or a mobile phone, it feels like a mindless activity to swipe through your friends’ posts. Well, you might not realize it but your mood will be changed by what you see on the screen. According to a research paper published in the Proceedings of the National Academy of Science earlier this year, Facebook altered the news feeds for some users as part of a psychology experiment devised by the company's on-staff data scientist. Sheryl Sandberg, the Chief Operating Officer of Facebook, later apologized for altering the News Feeds of some 700,000 different English-language Facebook users during a short period during 2012. Whether Facebook acted ethically or not, the results are quite revealing. The experiment sought to learn about the way positive and negative effect travels through social networks. The study concluded that "in-person interaction and nonverbal cues are not strictly necessary for emotional contagion." The study concluded that people were more likely to post negative updates about their lives after the volume of positive information appearing in their Facebook feeds had been purposefully reduced by the researchers. The opposite reaction occurred when the number of negative posts appeared in people's news feeds. Many Facebook users didn’t need the results of this psychological study to tell them that social media affects mood. This summer, many individuals complained that Facebook was making them sad or even depressed. For weeks, many Facebook users were inundated with posts in their News Feed sharing links to articles about the Israel-Hamas war in Gaza. Strong opinions on both sides of the conflict were posted vociferously on Facebook and on other social networks. Some users stated they just needed a Facebook break from the “noise” of political posturing. Many heated debates ensued as the situation in Israel and in Gaza intensified. For some Facebook users, the social network offered the bully pulpit they didn’t have before. While the term “unfriending” was virtually unheard of before Facebook launched a decade ago, it has become a popular term as users are resorting to disconnecting online relationships over strong differences of opinion. Specifically, the Israeli-Palestinian conflict has severed relationships – both online and in real life. 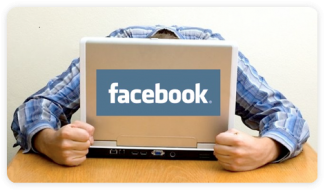 “Facebook Angst” has become a real ailment as many users have found themselves angry during what has generally been thought of as a relaxed period during the summer months. It’s nothing new for Metro Detroiters to enjoy some friendly banter and back-and-forth debate over long-standing rivalries like the University of Michigan and Michigan State University college athletics, but political fighting on Facebook has taken its toll on many people’s emotions. Just when the conflict in the Middle East seemed to die down, a 100-year flood took Metro Detroit by storm. Members of the Jewish community in Metro Detroit, Michigan began posting photos of their ruined basements. Images of personal belongings, cherished family photographs and furniture lined up on the street curb began occupying people’s Facebook feed. There was no relief during the hiatus from Middle East bombing. More users complained of the utter sadness filling up their Facebook feed, but likewise couldn’t take their eyes off the screen. The only news event large enough to silence the deluge of flood posts in our Facebook News Feed was the death of a comedy icon. As news trickled in on Facebook and Twitter about the sudden, tragic death of actor and comedian Robin Williams, people began posting on Facebook about their favorite Robin Williams’ movies, quotes and scenes. Many used the celebrity’s suicide to share their own experience with depression. Once again, the posts shared on Facebook by our friends altered our emotions. Weddings, engagements, new babies being born, family vacations, sporting events, concerts and summer camp experiences notwithstanding, the zeitgeist of summer as shared on Facebook was not a happy one. Unfortunately, as the popularity of the viral ALS Ice Bucket Challenge began to wane, our Facebook News Feed began to fill up with news of the latest death toll in Israel as more rockets rained down from Gaza. Who needs the 24-hour cable news networks anymore? We have our Facebook feed to tell us what is happening in the world – for good and for bad. With each passing year in the first quarter of the 21st century, we find that technology takes over more of our life. Social media changes our emotions in ways we could never have imagined. Whether it’s a political election, a roller coaster economy, war, weather or sports rivalries, our Facebook News Feed will keep us involved in the hourly banter. We might not have liked the sneaky way Facebook altered its algorithm to help some researchers learn about the social network’s affect on our psychology, but there’s no question that the results of the study are telling. We are all drawn in to our Facebook feed and the content there drives how we feel. The best solution to not become overtaken by the ups or downs of Facebook is to take a break. Unplug and give your emotions a fighting chance. I totally agree that what ever you see, do or think they actually have some impact on your emotions. There I a strong bond between Facebook News Feed and Emotions.